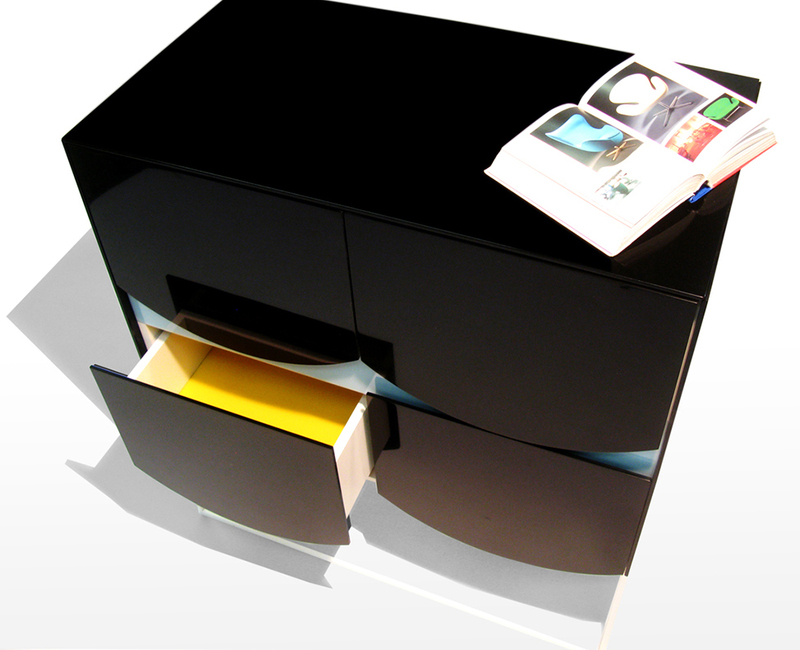 This cabinet was inspired by the leafs from the black drape side table and uses them as drawer fronts. 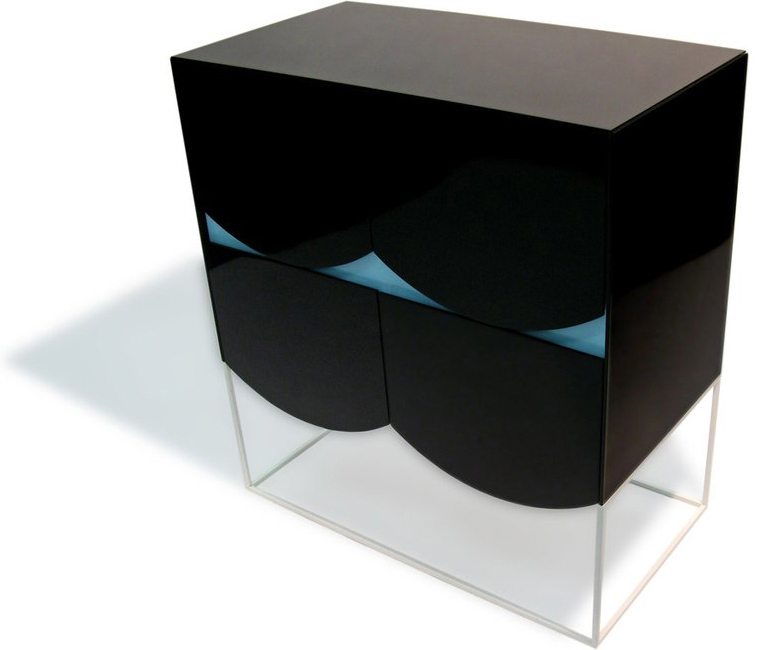 The use of the black Hanex material, whick we use to get a high gloss finish, is strongly contrasted by the light blue border between the two sets of drawers. The colours continue inside the cabinet, where we use yellow bases in the drawers. 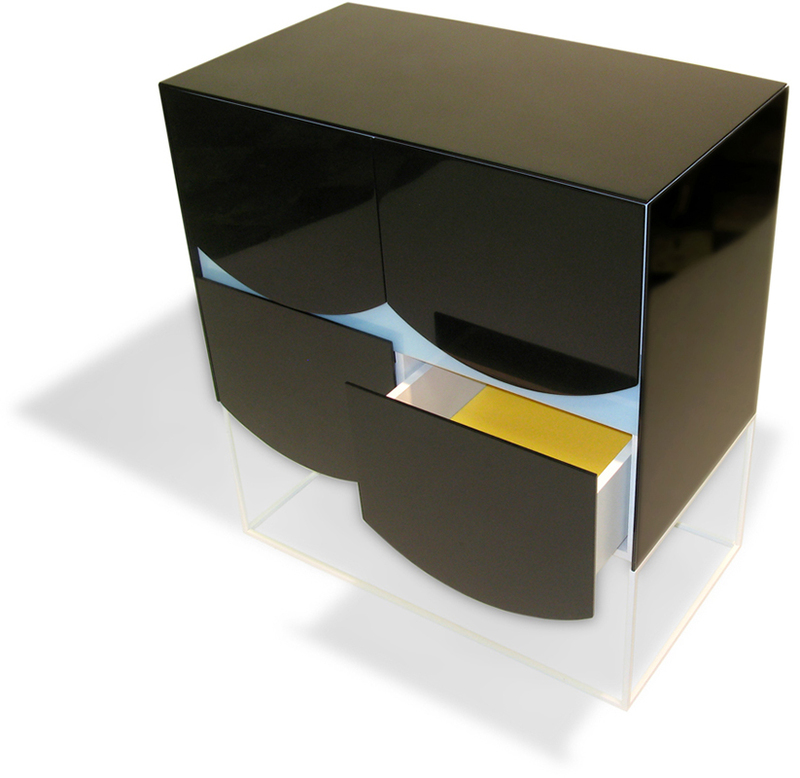 The unit sits on a white coated steel base. 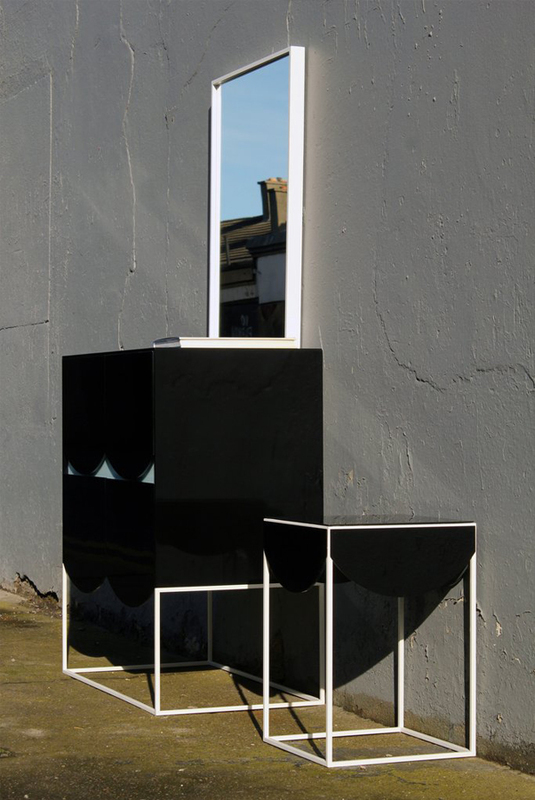 We wanted to create a very simple looking cabinet with a simple feature of the petal like drawer fronts. The cabinet drawers are opened by pushing on the front. This minimises and simplifies the look even further. Dimensions: 900mm high, 820mm wide and 450mm deep. Like the cabinet? Wrong size? Wrong material? Just drop us a mail and we can sort it for you.